Over the last decade, the country of Turkey has used various methods to promote itself to a worldwide audience, and efforts paid off. Foreign property purchases, the tourism industry and industry exports are performing at an all-time high. In what is one of the most “in your face” subliminal methods of advertising, they promote Turkish places, culture, tradition, food and lifestyles to a global audience and Turkey is reaping the benefits. Over 150 countries in Europe, the Middle East, Africa, Asia, the US and Latin America air Turkish programs to over 500 million viewers. The annual revenue from this generates a staggering 350 million dollars. TUROB, the Turkish Hoteliers Association says soap operas are responsible for a 70% increase in South American tourists, who happen to be spending a lot of money at the same time. The report, prepared after the Latin American International Tourism Fair, cites Brazilians and Argentinians are the two main nationalities looking at what Turkey offers. Since 2013, Brazil has been a fast growing market with more middle-class citizens looking to travel the globe. They are not averse to long-haul travel either, and promotion of Turkey through TV shows is tapping into a ready market that is eager to splash the cash. TUROB says the stars of shows like Gumus, Ezel and Kara Sevda who have attracted a South American fan base do an excellent job in promoting Turkey. Such is their influence; some parents are even naming their new-born children after these celebrities. 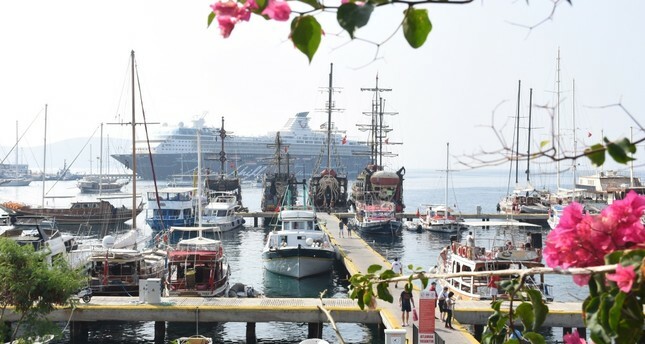 Pre-2000, the Turkish tourism industry rarely featured in South American tourist’s itineraries, but hopeful officials say the country has potential to become their favourite holiday destination. Out of all the Turkish soap operas shown abroad, one of the most successful is the Ottoman era, Magnificent Century, and one businessperson is crediting the show with rising sales for his furniture brand. Speaking to the Daily Sabah newspaper, Adnan Bostan, who exports to 26 countries, made classical furniture pieces for soap opera sets and that is when the money started rolling in. 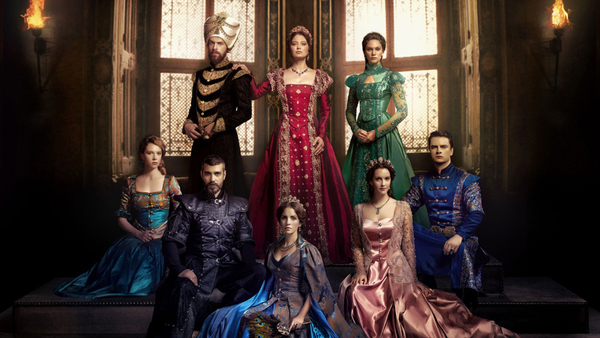 Also producing furniture for the Kosem Sultan TV series, he now employs 175 people from his factory in Istanbul. Designing furniture for hotels in European and Middle-Eastern countries, he also takes private orders for wealthy homeowners, who want tailormade unique designs. Expecting a turnover of just over 3 million dollars this year, he says their export business will grow even bigger next year. New contracts include restoration projects in Russia And Ukraine, but his primary business goal is to furnish millionaire homes of Hollywood stars, hence his opening of new premises in the USA. What is his most popular product? Ottoman chairs, a perfect reflection of the two series that made him famous. Turkey’s property sector is also crediting Turkish soap operas with attracting foreign buyers to the country especially Istanbul. Many shows featuring significant landmarks of the city, as well as exterior and interior of houses can be compared to commercials. One sector that benefits is the waterside Bosphorus mansions of Istanbul, but buyers are often in for a shock because they are Turkey’s most expensive real estate market, with many under official historical status. 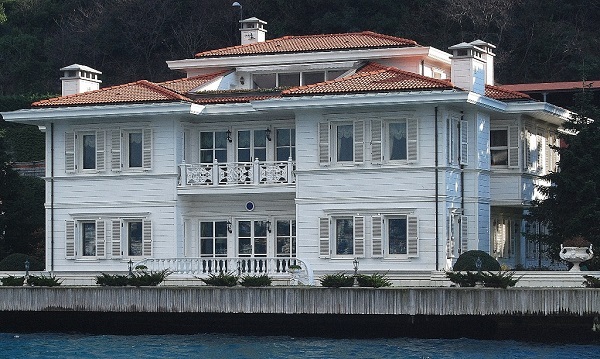 Owning a Bosphorus mansion, (yali house) means you have made it in society, but price tags of 100 million USD put them far outside the realm of most buyers. They have attracted the attention of wealthy Middle-Eeastern buyers though, who are die hard fans of weekly Turkish shows. These fans particularly loved Ask-i Memnu (Forbidden Love) a series about a super-rich Istanbul family who lived in a historical yali mansion. Portraying the crème de la crème of luxury real estate and society, Ask-i Memnu is just one of many Turkish TV series increasing the country’s global popularity. 1: From historical dramas to modern day love stories, find out more about the characters, plotlines and settings of Turkey’s famous TV shows capturing the hearts of adoring fans all around the world. 2: Turkey’s film industry is also looking to gain worldwide fame as they embark on many projects to match the likes of Universal Studios in Hollywood.